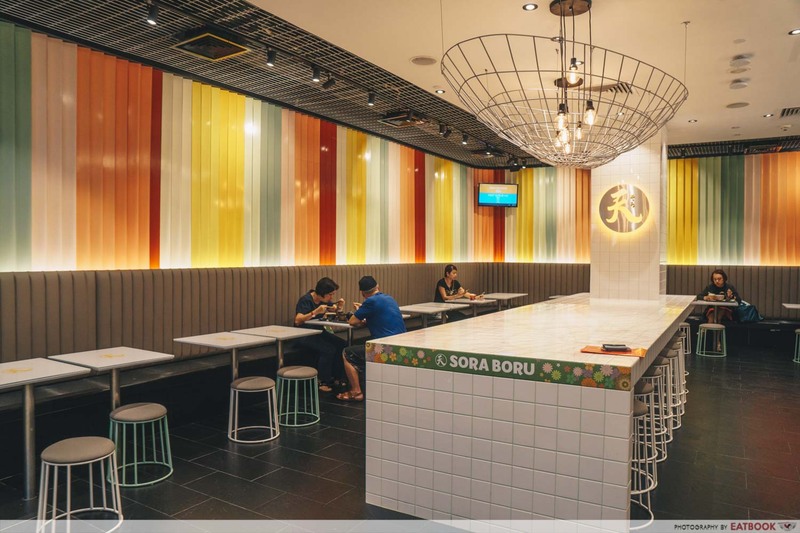 Town-goers have probably witnessed the decline of the Yoshinoya outlet at [email protected] This elephant in the room has recently been dealt with, as a new concept store, Sora Boru, by K Food Group has taken over the jarringly empty space. 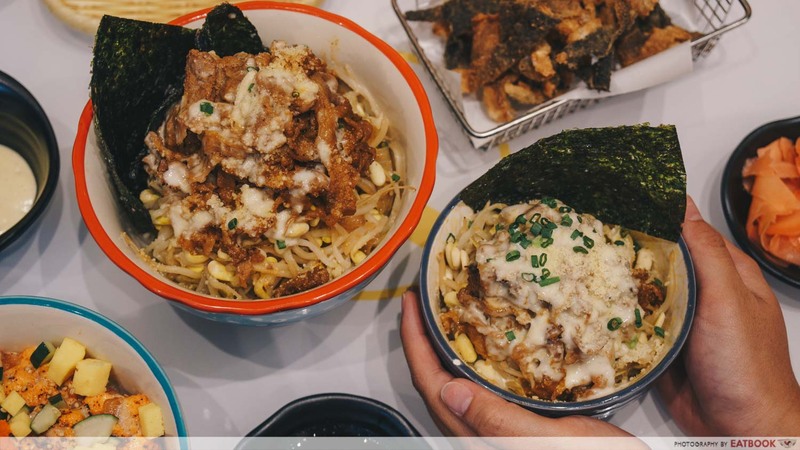 Though Japanese rice bowls are still the main items on the menu, Sora Boru is serving totally novel versions that could potentially make this spot your go-to for cheap meals under $10 in town. We decided to head straight for their signature bowls, the Snow Beef Don ($7.50/$11.90) and Volcano Beef Don ($7.50/$11.90). Begging for attention, the mountains of beef coloured white or red were truly #foodporn. 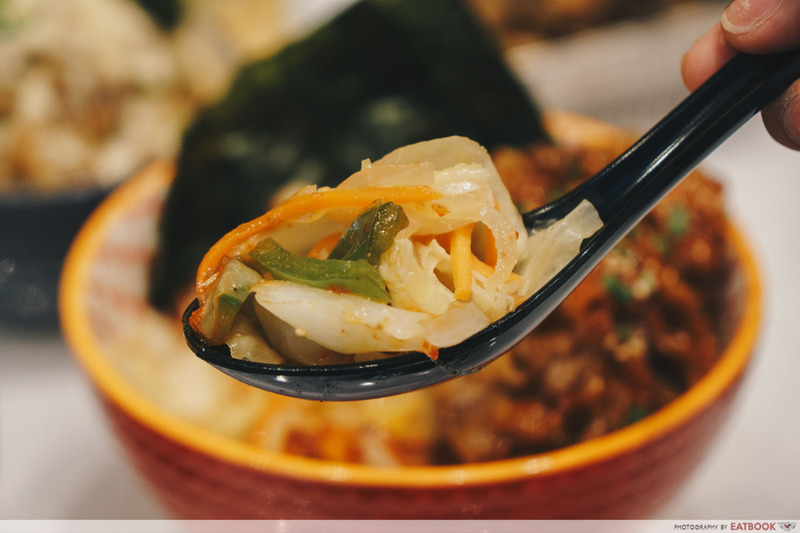 Each rice bowl features a bed of sticky sushi rice, followed by your choice of mixed vegetables or beansprouts, and a heap of marinated beef slices. 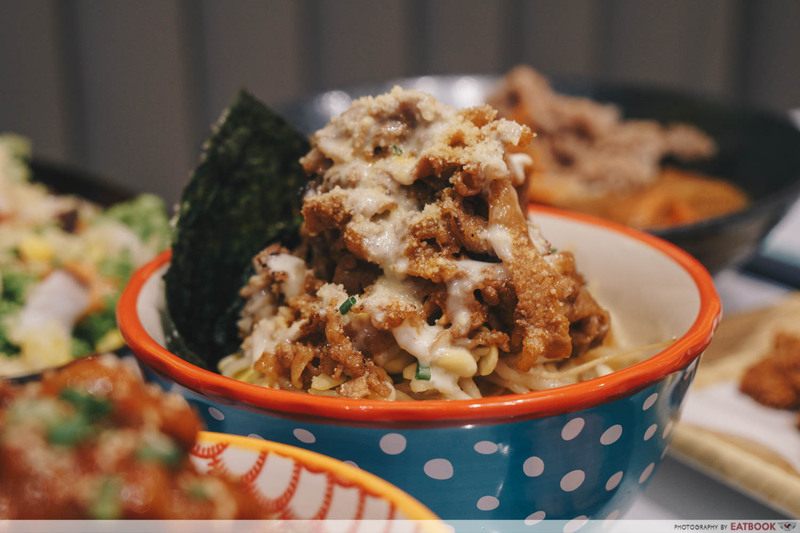 Those who love all things cheesy or creamy and have carbonara as their default order for pasta, will enjoy the Snow Beef Don as much as I did. 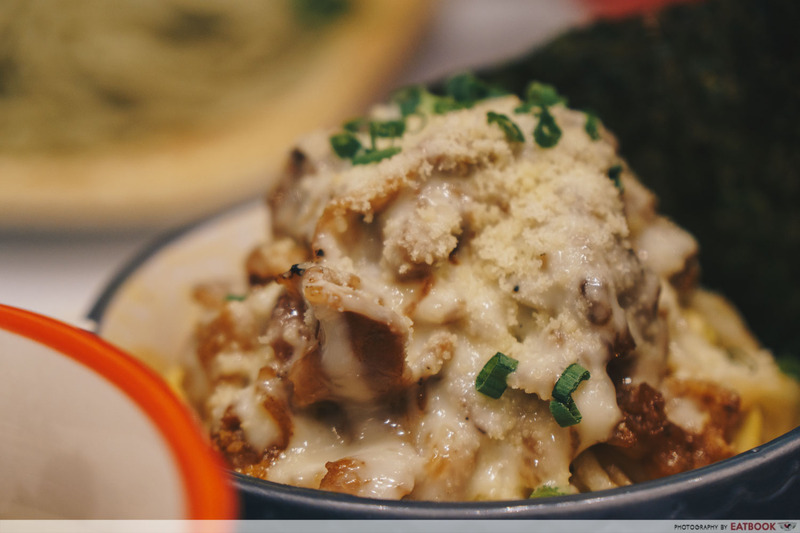 Looking like a snow-capped mountain, the beef is drenched with a white sauce made from whipping cream, with a good scattering of parmesan cheese. This beautifully plated dish only further whetted my appetite. Peeling the first layer off, I gobbled up the beef slice with relish. It was sweet from the cream sauce, savoury from the marinade of the beef, salty from the parmesan, and smokey from the breath of the butane blow torch. 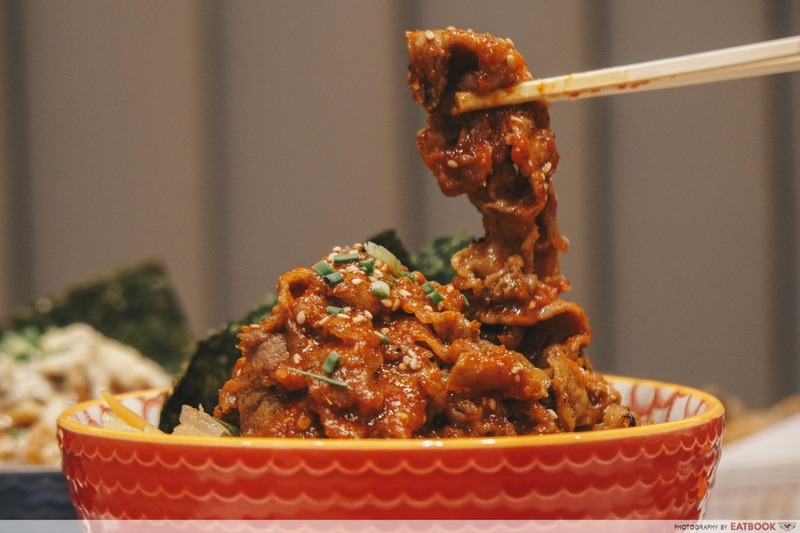 The Volcano Beef Don is another ultimate-meal-in-a-bowl. Instead of a snow-capped mountain, this time it is an erupting volcano, overflowing with dangerously red “lava”. The red sauce is spicy, making it a dish great dish for those who just can’t do without the heat. 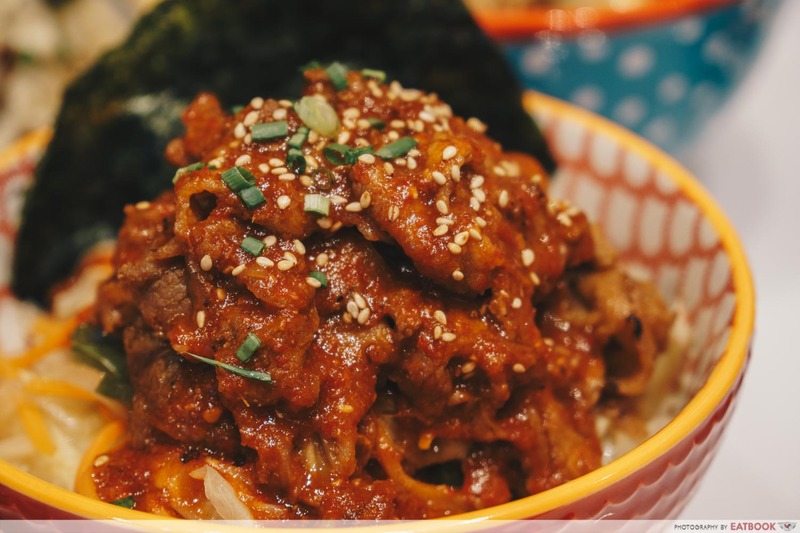 Reminiscent of a honeyed gochujang (Korean red chilli paste), the sauce pairs surprisingly well with the already marinated beef slices. Some might find both the Volcano and Snow Beef Don a tad too sweet for a meal, but I love how the sweetness mellows the spice and creaminess down in each dish, respectively. These sauces will only last through the first layer of beef. As you dig deeper into the pile, savour the natural beefy flavours of each slice instead. Take a pick of either Mixed Vegetables or Beansprouts to go along with the Volcano or Snow Beef Don. 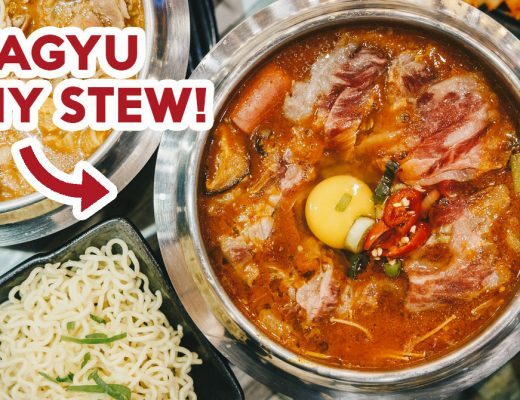 The former is a refreshing mix of lightly blanched cabbage, carrots, and cucumber, and the latter features nutty, large-grained soybean sprouts, not to be confused with tau ghey. 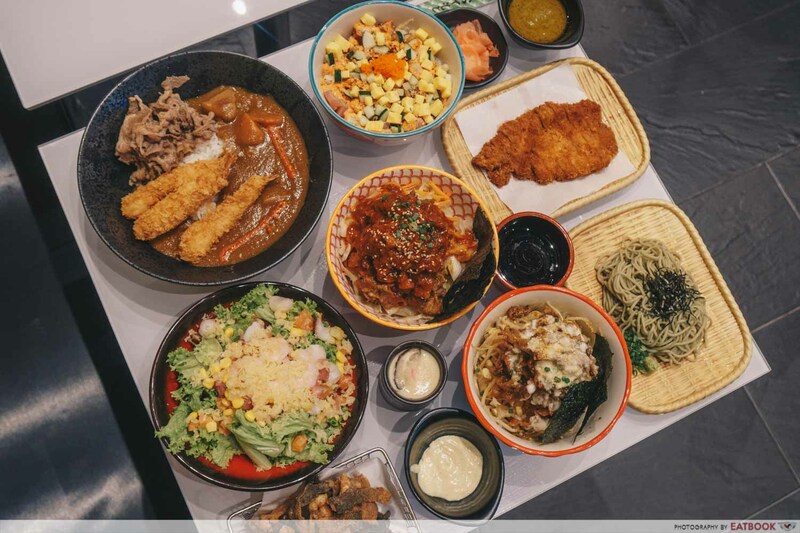 I recommend ordering mini portions of the rice bowls (shown at the bottom right-hand side of the picture), to make space for more variety of food. 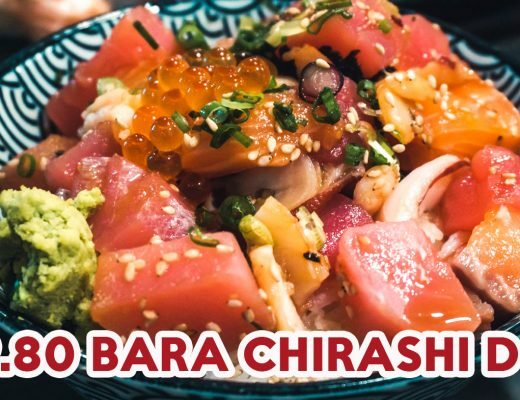 The Bara Chirashi Ebimayo Aburi Don ($9.50/$16.90) is another must-try at Sora Boru. Ebiko, or prawn roe, is used in place of the more expensive pollock roe for the “mentaiko” sauce. There isn’t a stark difference between the two in terms of taste. 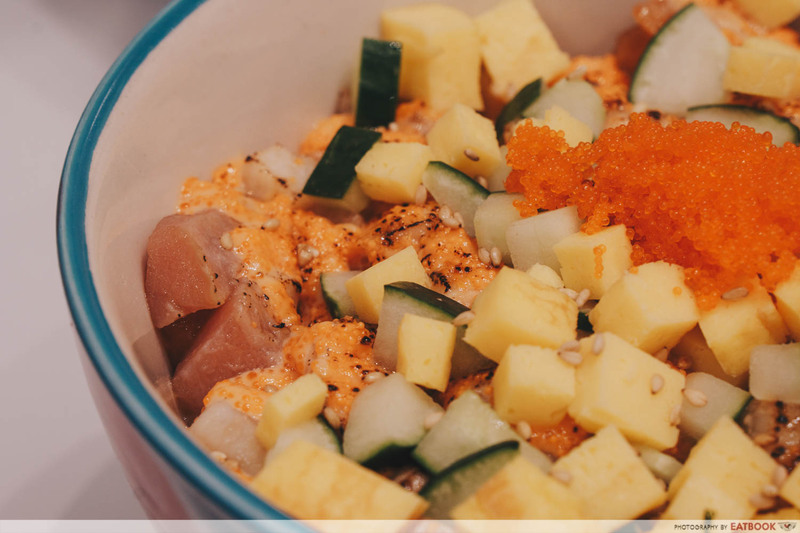 It comes with an assortment of diced salmon, tuna, swordfish, and scallops. 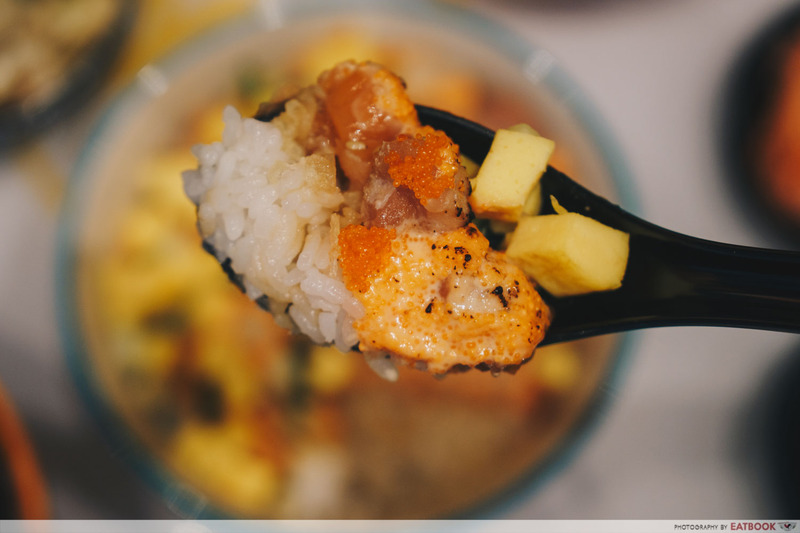 Opt for their Salmon Ebimayo Aburi Don ($8.50/$13.90) if you’re more of a salmon sashimi kinda person. 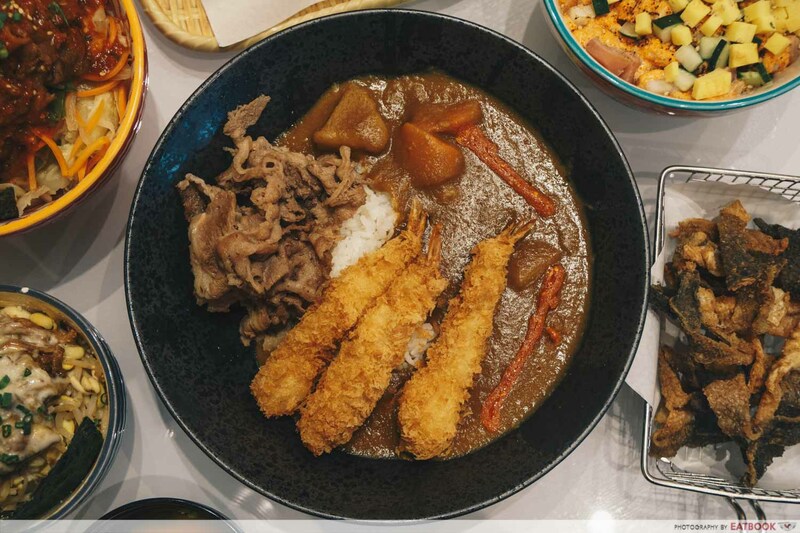 They also offer curry rice bowls, which comes with a tangy and grainy Japanese curry and, with huge chunks of potatoes and carrots. From Chicken Katsu CurryBoru to Breaded Salmon CurryBoru (from $6.50), all of them are reasonably priced at $10.90 for the regular size, and $6.50 for the mini, giving you a good bang for the buck. 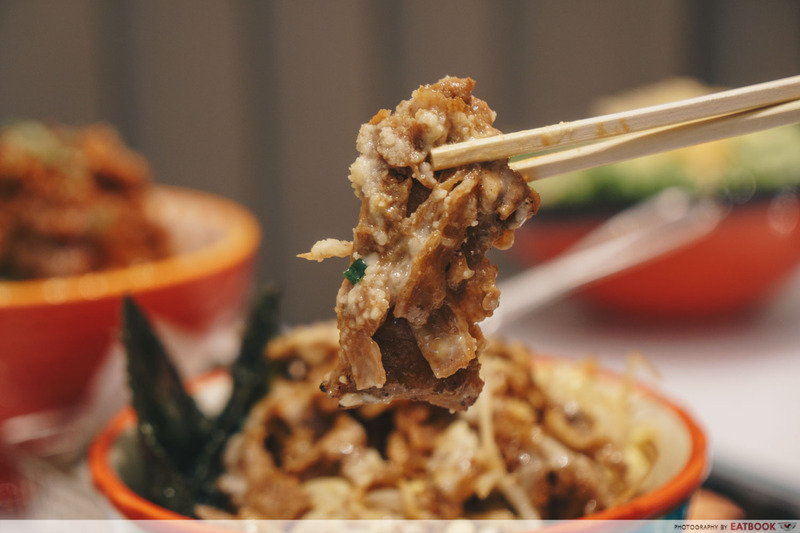 For days leading up to payday, the most value-for-money item on the menu would be the Cha Soba ($3.90/$7.50). 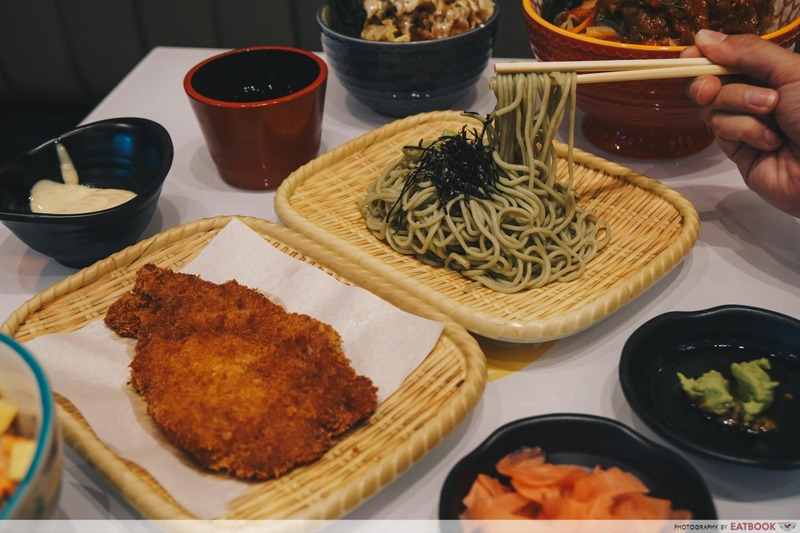 You can have it cold with soba sauce on the side, or served hot in a huge bowl with soup. Regardless of the size of your bowl, Be it regular or mini sized, complete your meal by making it a set! A chawanmushi and miso soup or drink costs only $2.90, while all three will set you back $3.90. 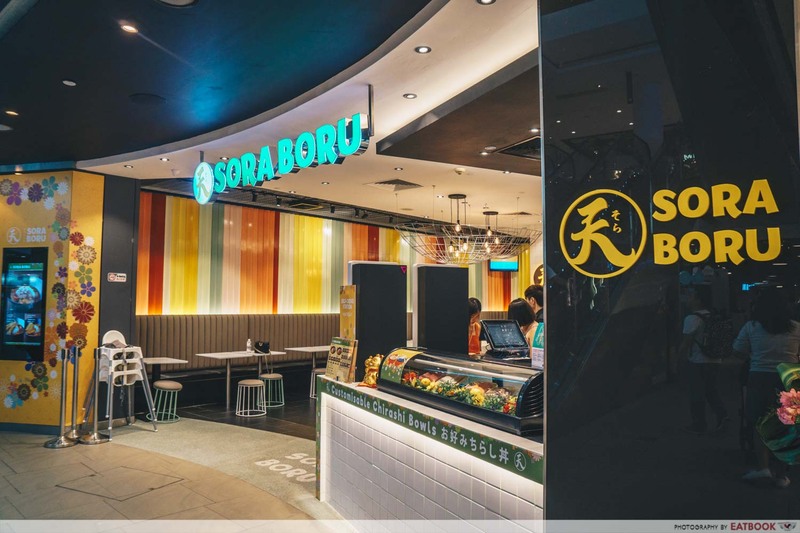 Located at the foot of the escalator at basement one, Sora Boru makes for an accessible spot for a budget meal in town. It was initially empty when we arrived in the morning. But as lunchtime came around, office workers began came streaming in. Expect no GST and service charge here, as everything is self-service. 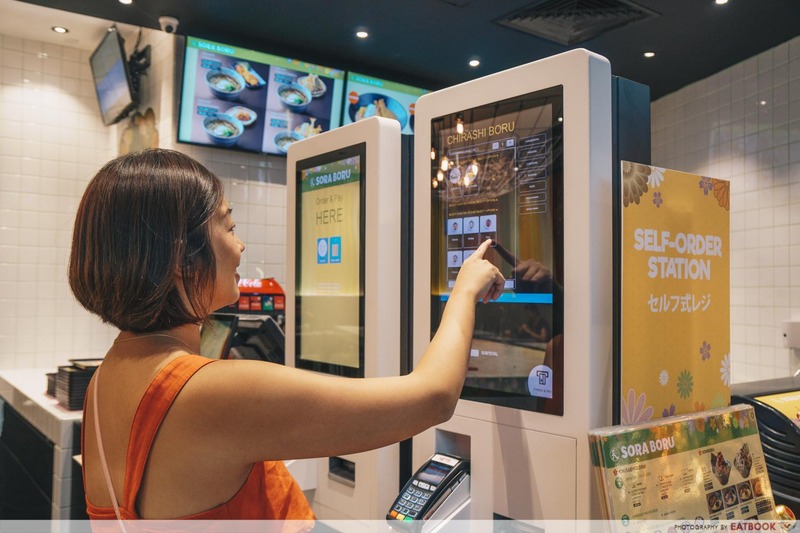 Use either the self-ordering kiosks or head to the cashier if you’re paying in cash. After making your order, take a seat and wait for your number to be called in a jiffy! I can see myself heading back to Sora Boru often in the days to come. The concept of offering mini portions at reasonable prices really resonates with my style of dining. The small serving means I get my fill of savoury food, with space still left for a bubble tea after that! 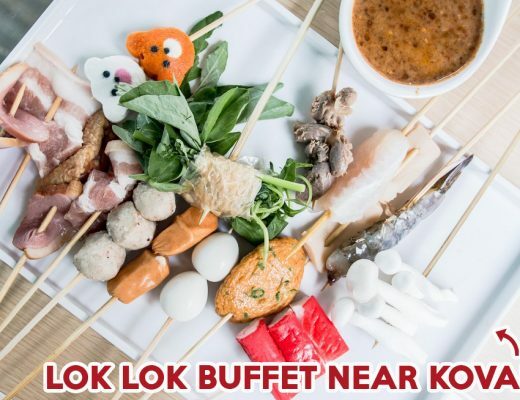 Sora Boru is not a halal-certified eatery, but their food contains no pork or lard. 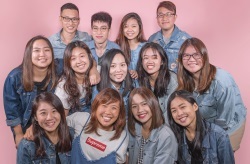 Photos taken by Ho Jingyi and edited by Tan Ee Jing. This was a media tasting at Sora Boru.